This Workshop is designed for anyone who has to speak in public, present ideas to colleagues, deliver a key note or simply pitch the sale. 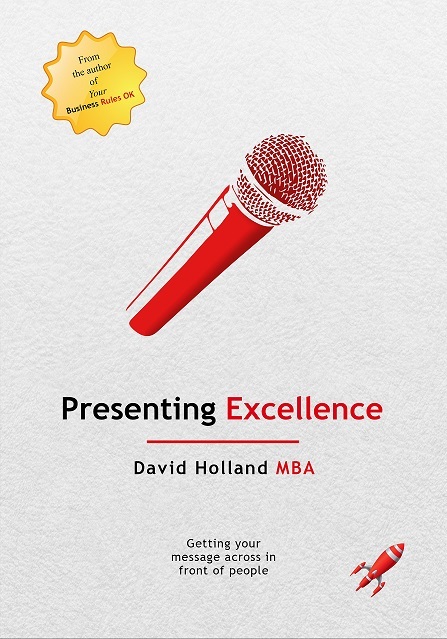 Based on David's book - Presenting Excellence - this event includes role play, and demonstrations in a fun, engaging and safe environment. The Workshop can be delivered in a variety of formats - either as a public event or tailored to suit your in-house team - and is designed to be highly interactive, fun and engaging; encouraging high levels of participation and include appropriate Role Playing and supporting activities that appeal to all learning styles.